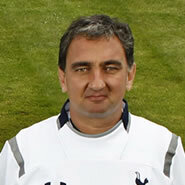 The Tottenham Backroom Coaching Staff - Who Are They & What Do They Do? 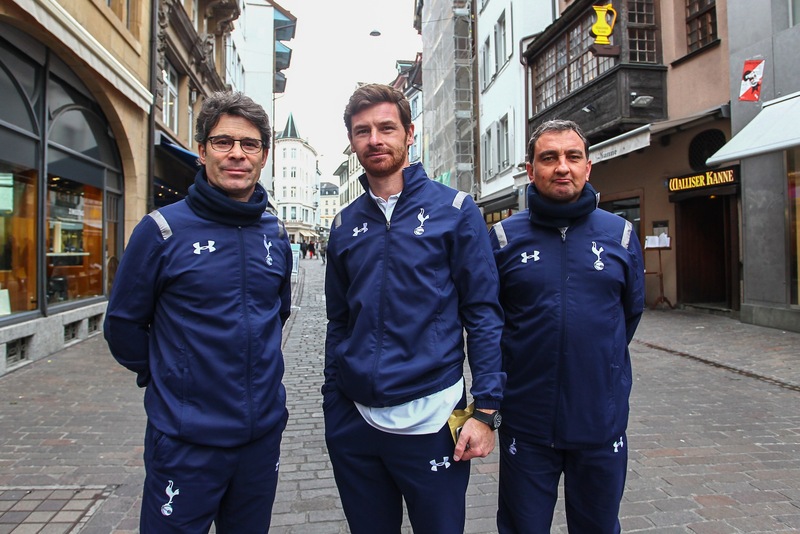 When André Villas-Boas is receiving an accolade from the press, he’s always quick to praise those around him as having had an ‘equal input’ to the club’s on-field success. So given that I’ve never really been aware of what it is our coaching dream team actually does, other than celebrate like absolute gods when we score, I took it upon myself to type their names into Google. This tireless search led me to Wikipedia, the Chelsea website, several obscure Portuguese blogs and the Spurs official site too. Below is a summary of the information that I found from the above sources. 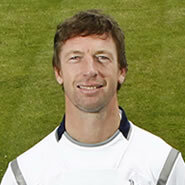 Former midfield dynamo and fan favourite Steffen Freund first joined the club in 1998, making 102 Premier League appearances. For anyone that doesn’t happen to remember the German’s first spell at Spurs; if you think Scott Parker currently polarises opinion, you haven’t seen anything of the sort. Freund has clearly done enough in a short time to suggest that he has been earmarked for great success as a coach, his Tottenham appointment following spells with the Nigerian and German national teams. First appointed as assistant head-coach to the German U-20’s, Freund was plucked away by Berti Vogts to join him as Nigeria’s assistant coach for the 2008 African Cup of Nations, reassuming his role with Germany following the close of the tournament. It’s also worth bearing in mind that Freund had not fully completed his coaching badges by this point, a feat he achieved in 2009 when he was swiftly promoted to first manage the German U-16’s then a year later, the U-17’s. Finishing third place in the 2011 U-17 World Cup and as runners up in the 2011 U-17 European Championships, Freund has shown great promise combining his aptitude for tactics and organisation with his visible passion and enthusiasm for the game and those playing beneath him. 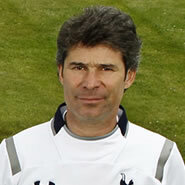 But as we’re all well aware; Daniel Levy’s actions are seldom, if ever, without thorough prior thought. Given his time at Chelsea left a number of question marks over his personality, the initial appointment of Villas-Boas represented a gamble of sorts, albeit one that now appears to be paying off. Were things ever to take an unfortunate turn for the worst, I wouldn’t be overly surprised if in Steffen, we were already looking at a readymade managerial replacement. Luís started his coaching career with hometown club Sporting, working within the youth setup. He was tasked with overseeing the development of a number of now European stars; Cristiano Ronaldo, Nani and João Moutinho to name but a few. Winning national titles with both the U-17 and U-19 Sporting teams, he was promoted to Assistant Manager of the first team during the 2004/05 season, the same season in which the Portuguese side reached the final of the UEFA Cup. He briefly moved to second division Portimonense S.C. where he assumed the role of manager, but was sacked after less than a season in charge, having lost 8 games and conceding 25 goals in the process. The split was at least amicable with Martins informed by Chairman Fernando Rocha that the “doors of the club will always be open to him”. Martins moved on to SC Braga taking up a more familiar role within the youth coaching setup at the club, specifically as the Head of Youth Development. Just prior to coming to the Lane, he also had a spell working in the Middle East with Saudi Arabia’s national side and coaching Al Ahli’s U-23 side. Hard to ignore, Luís Martins’ appointment as a first team coach further reveals Tottenham’s standing as a club with one eye fixed firmly upon the future. Martins, a man with youth coaching pedigree, along with Freund, have both tasted success at a youth level much more so than at a senior one. With our much-lauded academy starting to produce an unprecedented volume of players, that are legitimately knocking on the first team door, it appears that Mr. Levy has constructed an appropriate framework to ensure that their burgeoning talent is effectively utilised should they come to make the step up. Here is a Tottenham ‘bromance’ to rival any previously seen on Instagram or elsewhere. 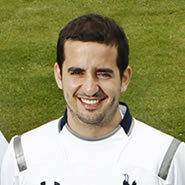 Rocha, it transpires, first worked alongside AVB in the Porto youth ranks. Having spent the first 17 years of his career at Porto, he only first left the Portuguese giants to work alongside Villas-Boas during the latters first managerial role at Académica de Coimbra. Rocha graduated from the city university in Porto with a Sport’s Science degree, and it’s this highly academic approach to his work that has seen his style fuse seamlessly with Villas-Boas’. Interestingly enough, Sousa was brought to work with AVB at Chelsea aged only 26; the same age AVB was when first employed by Chelsea to work as their Head Of Opposition scouting for then manager José Mourinho. Villas-Boas was the first of his kind in English football when taking on the role in 2004, and it would appear that he has keenly moulded Sousa into an image of himself, bringing the young scout with him on successive appointments between clubs. Studying in the same university as Coach Jose Mario Rocha had some years earlier, Sousa chose to specialise in football in his third year of his five year course. He has continued along this path, eventually leading him to the Portuguese league title and UEFA cup winning Porto side managed by one Villas-Boas. It’s clear to see that AVB values a firm support network of highly focused professionals around him. Not to do the work of previous regimes a disservice, it certainly feels like there is less a feeling of ‘jobs for the boys’ as we felt with Kevin Bond and Joe Jordan, and more the idea that AVB views his job as an ongoing project, much in the same way he views his appointment at Spurs. Continuing to build these relationships, almost as an extension of himself as seen clearly in the case of Sousa, further helps to project Villas-Boas’ professional and technical approach to football management. Although sometimes we may long for that riskier ‘edge’ Harry occasionally had in vital moments, Villas-Boas seems focused on the wider view. Knee-jerk reactions to momentary phases of weakness won’t help the club in the long run, and it’s probably where we and so many other teams have gone wrong in the past. Villas-Boas has his philosophy, we will win in the way in which he feels we should, and if it doesn’t quite work out the first time, then we can only hope he takes this on board and tweaks accordingly as he has shown he has the ability to already. It may not always be prettiest form of football management, but it’s definitely the future, and I for one am glad that we’re a part of it.